$ 13,600 per Acre M/L. 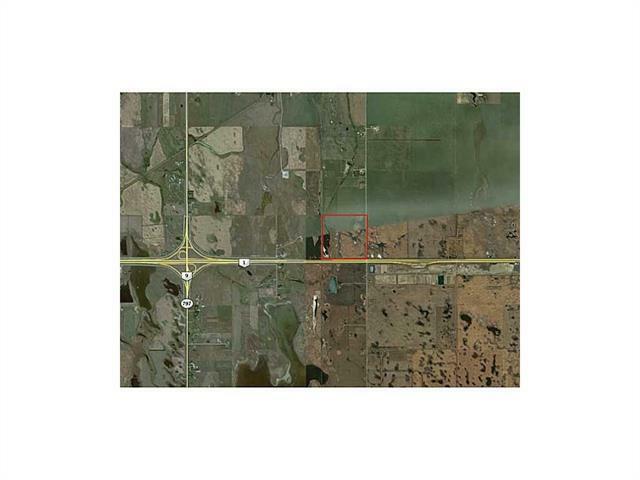 This is a great investment opportunity to buy this property located right on Highway #1 corridor between Calgary and Strathmore, half a mile of Hwy#1 frontage. Property is located on the east border of Rocky View County, kitty corner from Wheatland Industrial Park and the Provincial weigh scales. Although currently zoned as agricultural land, this property was highlighted as part of a Minor Business Corridor in the County's Growth Management Strategy. The County Plan does not specifically include this parcel as development land, but does allow for possibilities for redesignation under certain conditions. Great location for a TRUCK STOP . Data supplied by CREB®’s MLS® System. CREB® is the owner of the copyright in its MLS® System. The Listing data is deemed reliable but is not guaranteed accurate by CREB®. The information provided is for consumers’ personal, non-commercial use and may not be used for any purpose other than to identify prospective properties consumers may be interested in purchasing. The trademarks MLS®, Multiple Listing Service® and the associated logos are owned by The Canadian Real Estate Association (CREA) and identify the quality of services provided by real estate professionals who are members of CREA. Used under license. The trademarks REALTOR®, REALTORS®, and the REALTOR® logo are controlled by The Canadian Real Estate Association (CREA) and identify real estate professionals who are members of CREA. Used under license. Data last updated: 2019-04-25T23:29:36.057.